Print your gift card then go to Gap, GapKids, Gap Outlet or babyGap in the UK only and present that print-out at the till. 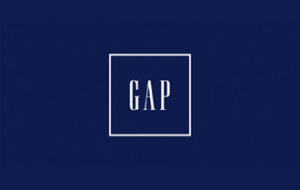 The Gap Gift Card (the “Gift Card”) can be exchanged for goods up to the value of the amount loaded on it at Gap and Gap Outlet stores in the UK and Ireland only. The Gift Card is not redeemable for cash, nor is it capable of use online or outside of the UK and Ireland. Use may be restricted with certain promotional offers; please check specific terms and conditions of promotions or ask in store for details. Value can be added to the Gift Card at Gap and Gap Outlet stores in the UK and Ireland only. Maximum and minimum reloads and values apply. Read full Terms & Conditions.